God can not give you what He doesn't have. 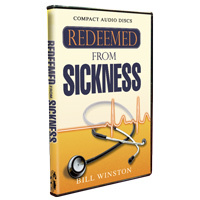 Therefore, realize that sickness does not come from God. With this in mind, know that there is not a sickness or disease that is more powerful than the Word of God. There is no name above the Name of Jesus Christ, and at that Name, all things must bow.